What Will Happen at Your Disability Hearing? No two hearings are alike since every case and every judge are different. 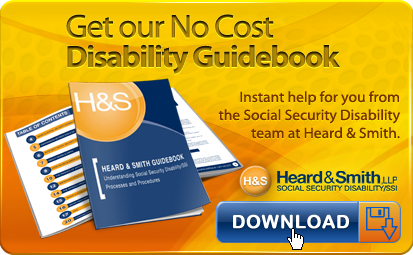 However, there are some features that most Social Security disability hearings have in common. Disability hearings are presided over by a Social Security Administrative Law Judge (ALJ). ALJs are supposed to conduct their hearings in accordance with the HALLEX, the handbook for judges issued by Social Security. The HALLEX requires that the judge tell you they will make a new, impartial decision on your disability claim. The HALLEX also requires that the judge give your attorney (or you, if you have no attorney), the opportunity to make a short opening statement. Most judges follow the HALLEX, though some ignore it and your attorney might be forced to demand that the ALJ follow it. The main purpose of the hearing is to present your case and provide the ALJ with information to help the ALJ make an informed and accurate decision. Your attorney has the right to present your testimony by asking you questions about your medical history, work history, daily activities, and other relevant subjects. The judge will usually ask questions on those same subjects. Family members or friends may also give testimony to provide additional information. The formal rules of evidence do not apply, and so statements that would not be allowed in other legal settings are allowed in disability hearings. This means that there are no objections to “hearsay” or “speculation”. Also, there are few limitations about how the judge and your attorney can phrase their questions, although leading questions (where the question itself suggests the answer) are discouraged. Some disability hearings involve medical or vocational experts. These experts are there to help the judge with the medical and work issues in your case. They can also be a resource for you since your attorney has the right to cross-examine these experts under the HALLEX. Though the judge will pay close attention to the experts’ testimony, the judge must decide to accept or reject it. At the end of your hearing your attorney has the right to make a closing statement. This is an opportunity to highlight the important evidence that supports your case. You may also wish to address the judge directly. Judges will occasionally state in the hearing whether they will award your case, but most will simply end the hearing without announcing a decision. You will have to await their written decision by mail to know if your case was awarded.